Carbons, onion skin paper, gum erasers. Ahh, those were the days! For the writer within or the one without. The paper roller spins and the keyboard springs. 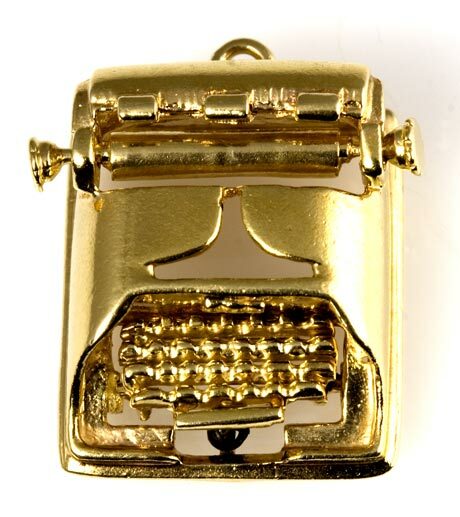 This charm is larger and much heavier, with more detail work than the typewriter charm in My Mother's Charms (Maxine's Bracelet, p.84). Marked 14K. 19.1mm (0.75in) wide at the platen. There is a lot of gold in this charm, weighing in at a hefty 6.4 grams.